How has 2016 been for Cartoon Network? What sort of growth have you seen in both broadcast and licensing? We had a remarkable 2015, Cartoon Network’s best ever in fact, so it was always going a challenge to top it in 2016, but this year has seen our share rankings increase in many of our EMEA markets. 2016 has seen The Powerpuff Girls return to deliver consistently strong ratings. It has been the number one kids’ show in its timeslot for in the UK, and a number of other EMEA territories too. The Powerpuff Girls are relevant to today’s audiences – the trio resonate with girls more than ever before. Their intrinsic duality appeals as girls are multi-faceted: they have BFFs, love kittens and may choose to wear fairy wings, but are also into football, go to judo lessons, play video games and are growing up with increasing numbers of strong, inspiring female role models– whether that’s in sport, fashion, business, music or the blogosphere. Then we’ve also got the imminent and much anticipated return of Ben 10 in October. Our studio has created a whole host of dedicated content so we can orchestrate a high-impact multi-platform launch, and the marketing activities and high profile events which Ben was always famous for will make for lots of playground chatter with boys across the region. A franchise that has seen continued success and significant growth this year is Adventure Time. The show continues to draw record audiences with over 45 million regularly tuning in across EMEA and it has just scooped not one, but two, UK Licensing Awards for Best Adult Apparel Range and Best Teen/Adult property. We always believed in its ability to achieve great things and its now thrilling to see the industry recognising the potential that we always knew it had. Not many brands have the demographic stretch that Adventure Time has – boys, girls, tweens, teens and adults are all fans of the brand. They watch it, play it, wear it, collect it. The Amazing World of Gumball is exactly that – amazing – and continues to pull in huge numbers on TV (48 million viewers in EMEA); online (9.3 million Facebook fans) and digital, with 71.5 million annual gameplays across the region. Gumball is building its presence on shelves across the region with some big programmes in Spain, Portugal, Poland and Eastern Europe, the Middle East and first ranges going live in Italy – Gumball is one to watch. How have you seen Cartoon Network content change over recent years in order to embrace both boys and girls audiences? Trends may vary from year to year, but one thing we always know is that our audience’s love for the irreverent humour and originality of our properties, is unwavering. I don’t think anyone does that better and connects so well with what is a very smart and discerning youth audience. It has to be genuine, and there has to be an emotional connection at the heart of it. That’s absolutely key. The way in which we are able to connect with our audience, both boys and girls, through technology has perhaps been the recent biggest change. Our commitment to creating fully localised bespoke content across all our media channels, means we’re pulling in astonishing numbers through our online media, digital apps and social media. It’s been a year of revivals for Cartoon Network with Powerpuff Girls and Ben 10. Why did 2016 feel like the right year to bring these shows back? What has the reaction been like so far to the refreshed properties? 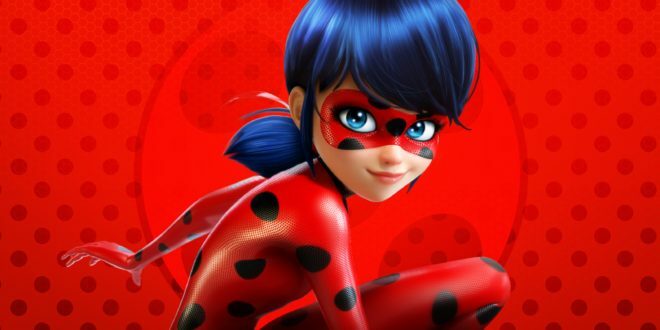 Superheroes are more popular than ever and interest in strong girls’ brands is surging, so there was no better time than now to bring back our biggest heroes – the super cute, and super fierce Blossom, Bubbles and Buttercup. As it turns out, we were spot on in that assessment because the reaction has been brilliant from fans, licensees and retailers. Likewise, with Ben 10 you get not one, but ten different superheroes. The new series focuses on what boys love about the show – the relatability of Ben, the fact that he is 10 years old, transformations and the aliens, all mixed with a winning balance of action, peril and fun. Even after all these years, Ben has never really gone away, for example it’s the Ben 10 games that still perform best on our website and the app, Ben 10: Cavern Runs Lite, remains our No. 1 app of all time. What is your strategy for ensuring Ben 10 and Powerpuff Girls success at retail, how robust is the consumer products portfolio for each? Both will be driven by the toy offering, but we will have comprehensive ranges in apparel, gifts, homeware, publishing, FMCG, back to school and accessories. 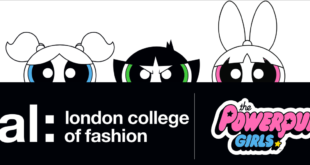 For Powerpuff Girls, we’ve just announced our first collection of over 30 EMEA licensees, some highlights include Blues Clothing, Forbidden Planet, Karactermania, El Corte Ingles and Bioworld. Our style guides and creative direction has provided a lot of inspiration to our partners on how to translate the franchise into great, differentiated products that young girls, tweens and teens are guaranteed to love. It’s still a bit too early to be revealing details for Ben 10, but I can say that the line-up is already looking exceptionally strong. What can we expect to see in the toy space for Ben 10? The Playmates toy range, which will be distributed by Giochi Preziosi in a number of key European markets and by Flair in the UK, is outstanding. They have created a true ‘world of’ range and with all the amazing technology and tools now at our fingertips, it will be even more exciting for Ben 10 fans this time round. 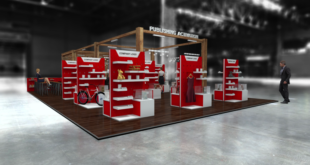 Playmates has taken the toys to the next level; the range is going to be magical and will deliver something that is currently missing in the boys’ toy space. We’ll be backing the launch with some really fun retail activations – more details to be shared in due course! Why is Spin Master the perfect partner to deliver the Powerpuff Girls toy line in 2017? We have a long-standing relationship with Spin Master; they are leaders in their field and have developed an outstanding Powerpuff Girls range across plush, collectible figures, playsets and more. Their products bring genuine newness to the girls’ toy aisle: for example, one of the hero products allows kids to recreate their favourite scenes from the show and make up their very own stories. I know we’ll be seeing this product appear in the social space as girls share their stories. Can you talk us through The Powerpuff Girls adult targeted roll out, what success have you seen in this space and why does it fit the market so well? We wanted to ensure there was something for all fans of the show, including those young women with fond memories of the original series. That’s why we’ve combined cutting edge, on-trend designs with a retro feel to appeal to this young demographic. We went down a storm in Milan with the Moschino range and in Poland, luxury fashion brand Bizuu has also just launched its Powerpuff Girls AW16 collection. Bizuu held a high-profle catwalk event to celebrate- it was an amazing evening, attended by over 1000 celebs, influencers and press and generated some fantastic media coverage. There’s more to come this year in other EMEA markets but too early to announce. What kind of impression is Cartoon Network making on the live event and consumer experience space? Immersive fan experiences are a vital and exciting area of growth for us. Our audience love it when we can bring their favourite characters, and the worlds they inhabit, to life. It’s the ultimate for our young audience to be able to step into the shoes of Ben 10 or take to the skies with their favourite Powerpuff Girl, for example. In Dubai, the Cartoon Network Zone within IMG Worlds of Adventure recently opened its door and is perhaps the best example of that. Alongside the fabulous rides like Ben 10 5D Hero Time and Mojo Jojo’s Robot Rampage is a vast array of branded restaurants and shops, including the world’s largest Ben 10 store which features hundreds of exclusive products. It’s highly important to develop opportunities that offer fans more meaningful experiences than even before and having such strong franchises means we are lucky enough to work with the best people in this space. How will you guys continue to drive the success of popular properties such as Adventure Time through 2016/2017? What new avenues of brand extension are you exploring for these? Virtual reality is a consumer experience which we are bringing to our Adventure Time fans in the U.K. with an affordable package. It’s completely immersive, features a Jake the Dog-branded head-set, an original story “I See Ooo,” and three weird and wonderful games with over 20 levels and hours and hours of gameplay. From a creative perspective, this opens up so many possibilities for us, not just for Adventure Time, but for all our franchises in being able to allow fans to step into the offbeat, off kilter, off the scale worlds that we have nurtured. Our audience is fully engaged with digital technology so we need to be too. That’s why we’re making sure we are everywhere they are – on mobile, online, in games and apps – it’s essential that Cartoon Network and its franchises are discoverable. What’s next for you guys moving into 2017? Aside from Powerpuff Girls, Ben 10, Adventure Time and Gumball we’ll be announcing new IP at BLE, so stay tuned for some interesting news from Turner at the show.